Many of us would have heard of Eu Yan Sang, it has been around for nearly 140 years and a well-known company that specialises in Traditional Chinese Medicine (TCM). Till date, it has more than 230 retail outlets in Hong Kong, Macau, China, Malaysia, Singapore, and Australia and operates around 30 TCM clinics in Malaysia, Singapore and Hong Kong. Eu Yan Sang has introduced its Eu Yan Sang Academy that was incorporated in June 2014 to raise the professional standards of the TCM industry in Singapore and Southeast Asia. In recent years, Paediatric Tuina has gained popularity especially among young parents due to its effectiveness and safe application. It is a all-natural, safe, gentle and non-invasive form of massage. 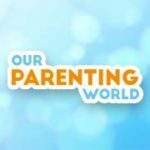 Due to the increasing awareness of such benefits, Eu Yan Sang Academy has introduced Paediatric Tui Na Workshop that parents can perform at home to help their kids to handle and reduce common childhood ailments. Our team attended the media workshop where we were taught some basic tuina techniques to apply on children. The instructor of the workshop is Physician Lim Sock Ling and she is a registered TCM physician, licensed by the TCM Practitioners Board, a regulatory body under the charge of the Ministry of Health. As a trainer and programme planner at Eu Yan Sang Academy, she provides TCM-related trainings and is able to share with the participants her clinical experience. Physician Lim is very friendly and professional, through her guidance, we are able to pick up the tuina techniques easily. 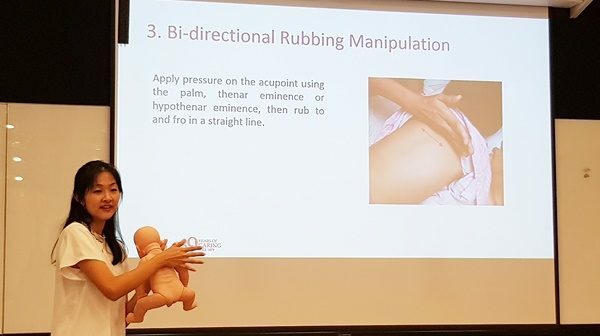 We were taught how to stimulate specific acupoint using the right manipulation techniques to help manage, regulate the organ functions and to prevent diseases in children. The strokes that we apply on children are actually quick, light and gentle that children won’t feel anything but these strokes are effective in treating their symptoms. It is great for parent and child bonding too. This is an interactive, educational and hands-on workshop after learning these techniques, you can apply them at home. Paediatric tuina is a gentle, safe and painless form of treatment that can be used to treat a wide variety of common childhood ailments, such as cough, flu and indigestion. The treatment can also be administered on healthy children to strengthen their body and boost immunity. This workshop is conducted in English and consists of 2 x 90 minutes theory and practical sessions (Session 1: Theory; Session 2: Practical). 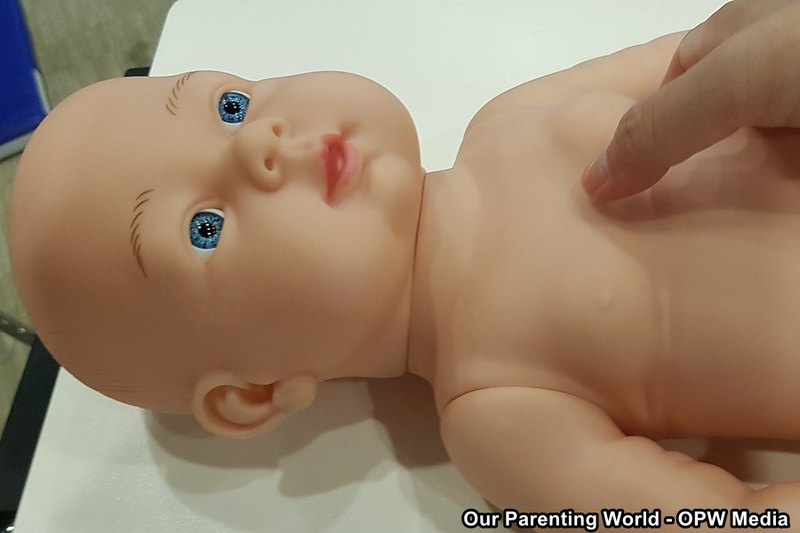 This workshop is recommended for parents with child aged 6 months to 6 years old, as children of this age group will benefit more from Paediatric Tuina.